Convenient discount parking near Riverside Park is available at the following Parking.com locations. Click on a location name listed in the map below for parking rates and garage information, or to print a discount coupon. Please note: Customers must present coupon at time of exit to redeem discount. 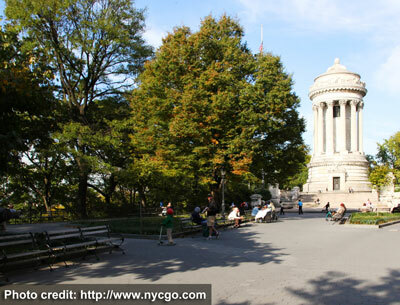 Riverside Park is a four-mile waterfront park off of Manhattan's Upper West Side and the Hudson River. The park features the Manhattan Waterfront Greenway and an esplanade lined with honey-locusts. Free events are offered at the park throughout the summer including movies, concerts, and children's shows. Parking.com has convenient parking throughout the NYC metro area! Click to find more Upper Westside, Washington Heights or simply NYC Parking.